Is Music Streaming a Sustainable Business? What is the new OpenMind book "Reinventing the company" about? Populism is on the rise, but economic growth is not, and technology’s penetration into all spheres of social activity is becoming consolidated. Is inequality the inevitable result of this equation? Political and economic paradoxes have become a constant in this era that is undergoing the fastest and most intense progress ever known to mankind. This digital transformation is relentless and unstoppable, but also irregular and polyhedral. This explains why the overall attitude of the public, their reaction to this whirlwind of exponential progress, is perplexity: a state of bewilderment or indecision resulting from “concussion”. The Latin word perplexĭtas from which the term derives could be translated as something like “intense muddle” (perplexus: per-, intensity and “plactere”, muddle). So this intense muddle is the origin of the concussion currently being experienced by the society we live in today. Are we really in an era of perplexity as such? Is this something negative in itself? “The moment of perplexity may be a good idea, provided it is taken as a starting point”. According to the professor, philosopher and writer Luciano Floridi, this is how the journey of perplexity begins. The problem, he says, is that perplexity becomes a state of permanence, a constant loop that prevents us from advancing in any direction. Perplexity is then a condition in which we are unable to make decisions and move toward the future we want or seek to build. Luciano Floridi, Patricia Fernández de Lis, Nuria Oliver and Jannis Kallinikos at the debate on “The age of perplexity”. You can see the full retransmission of the event in the video. This distinction between wanting to and being able to is quite significant when we analyze the magnitude of the complex route perplexity has ahead of it. Jannis Kallinikos, professor of economics and political science, looked back over the journey we have already made: the recent decades that have seen the advance and consolidation of the Internet, big data, social networks and artificial intelligence until they have achieved their respective levels of development, unthinkable only half a century ago. These changes that have gradually worked their way into all the systems and organizational processes in our society have ultimately defined the cultural and socio-economic change which –and this is where perplexity comes in for Kallinikos– “we have no idea how to handle”. At this time in our history we are able to gather the tons of data that make up the DNA of our daily actions and decisions. Machine learning promises to convert that vast amount of information into knowledge. And knowledge into progress. Meanwhile, who is leading the debate on this transformation? Who is responsible for its social dimension? Who reflects on where we are headed on this journey? “The truth lies somewhere between the optimists and the pessimists”, says Jannis Kallinikos. It is becoming increasingly important to make reflection a key part of this process, as is right and necessary. If not, there is a possibility that science –in terms of its technical possibilities– will outpace our own capacity to assimilate the consequences of the changes it may produce. The paradigm of this perplexity is perhaps the bombshell news of the creation of the first genetically modified babies using the CRISPR system by a team of Chinese doctors. The direction is the crux of change, the pillar supporting any decision. Education, regulation and politics: victims or executioners? Doctor Manuel Cebrián, researcher and expert in crowdsourcing at the MIT Media Lab, defends the presence of algorithms as fundamental in our lives from primary school. 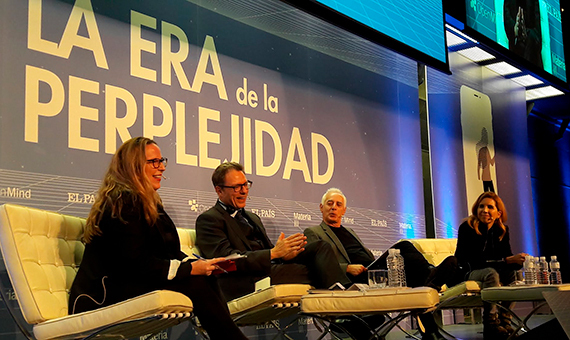 In the same line, the artificial intelligence expert and data scientist Nuria Olivar believes that we effectively need “a special subject in schools aimed at enhancing the skills required by the new digital paradigm” in which young people are already living, and which will also be particularly developed by the new generations. Education is therefore the best tool for updating this journey that has no defined destination or route. But we must be careful, because it is not only very powerful, it is a double-edged sword. According to Luciano Floridi: “We cannot allow politics to use education as a bridge to offload responsibility onto the public”. One key aspect for philosophers in this transition is to prevent education from becoming an excuse to release politicians from the responsibility for their decisions. In this regard, are we assuming that the new generations, or so-called “digital natives”, are in fact digital experts? For Floridi, the term “digital natives” should be applied to describe a generation’s expectations rather than its skills. Ring-fencing the term with these provisos gives hope to a large part of the population, but also undermines the illusion so often embodied in the digital discourse: digital natives are born exempt from the perplexity that besets everyone else and will redefine the world as we know it. What can we expect from a generation that has never known the world without interacting with touchscreens? They will probably need to study history. 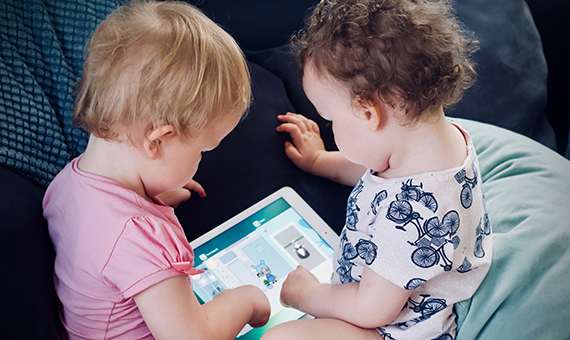 Maybe the first steps in this re-evaluation are now being taken in the cradle of innovation, and explains why the leading CEOs in Silicon Valley are raising their children without screens. And the last stop on this journey is politics, regulation and the standards required by the new universes produced by information technologies and science. It is not the same to set new limits or concepts for a regulation in a pre-existing field of knowledge (as in the case of medicine, whose possibilities have expanded thanks to techniques such as biotechnology or genetics) as to create from scratch a legal and ethical framework for new universes –scenarios that were unthinkable before certain technological developments. How far should we or can we regulate the development of artificial intelligence? Where are the limits of freedom of expression on the Internet? And the frontiers of the Internet? According to Jannis Kallinikos, perplexity is counteracted –among other things– by a good dose of regulation, despite the voices being raised in some quarters against excess protectionism and the risk of “clipping the wings” of the future before it even begins to fly. Equilibrium is without a doubt another key aspect for navigating the adventures of the age of perplexity, while offering a multidisciplinary challenge that forces us to reset our compasses on this journey.